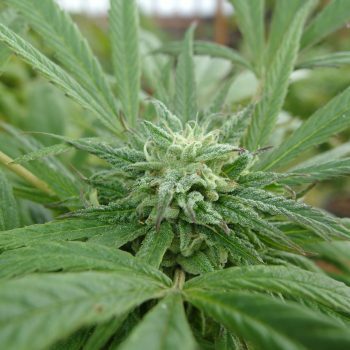 Mastodon - Oregon Green Seed - a breeder-direct Pacific Northwest Cannabis seed company. 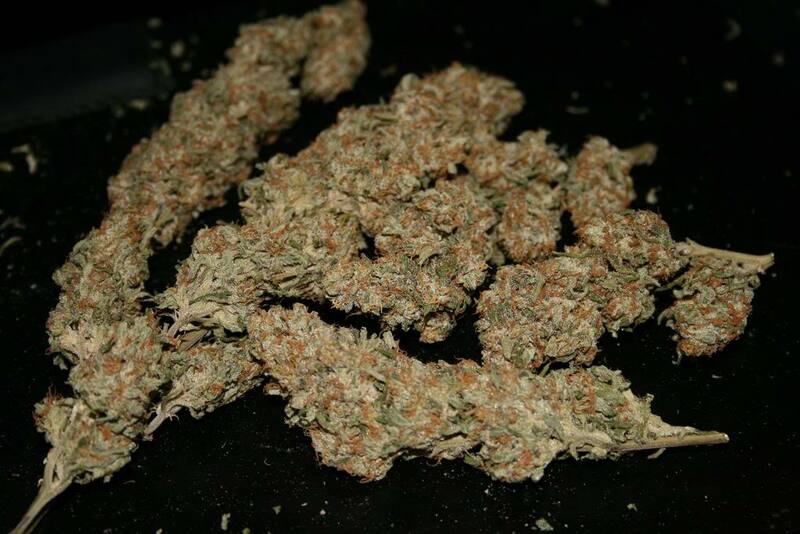 Mastodon is a combination of two very potent and epic indica cannabis varieties — LA Confidential and Endless Sky. It all began as an accidental release of pollen into a southern Oregon field of LA Confidential several years ago. I found a few seeds in a bag of these buds. Oh, happy accident indeed! Oh so tasty it is, and uber potent — Mastodon is one that is difficult to keep around because its everybody’s favorite. Mastodon exhibits traits from both parents. Its easy to grow, yields are above average for a medium sized plant. Taste is a smooth earthy hash with a slightly cherry richness on some plants. 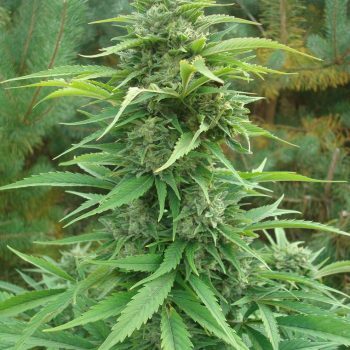 It does very well outdoors with its short flowering time (45-55 days) and decent resistance to mold. It does equally well indoors, too. Mastodon rewards the grower with a wonderful taste experience — its rich, earthy hash flavor from the LA Confidential is always a real winner. And the Endless Sky brings a little cherry cough drop to the mix and an overall silky smoothness. Together the parents have created a most sublime experience in a potent, super flavorful medicine that won’t make you cough up a lung. Near pure indica, Mastodon plants can be topped, or grown xmas-tree style. There is a green and purple phenotype. The purple pheno can take a few days longer to finish. Warning! These buds are potent. 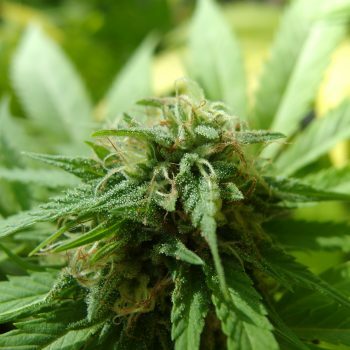 We grow Mastodon organically outdoors, and find it exceeds either of its parents in potency. It can be debilitating (especially for lightweights) if overtoked. Very good for moderate to severe pain, insomnia. I grew these outside in a guerrilla grow getting to them once or twice a week. They are pretty much spot on what the description says especially the mold resistants’ and even though I just put it into the jars the smoke is very smooth. Deb was very helpful with choosing Mastodon for a stealth indoor grow! Very easy being it was my first grow. Delivered a knock out punch just as the description stated. Very pleased and will order again! 100% germination at four days. One plant failed after sprouting. Culled one at three weeks (mainly to keep in compliance with plant limits) it wasn’t as vigorous as I like. Very excited to try this strain for insomnia. Will post more information as plants progress. Nice plan. Good structure. Fairly easy grower. Great flower development. No major issues with pests or nutrient sensitivity. Seems to clone well. Will update in the next few weeks. Fairly easy grower. Good pest and mold resistance. Decent yield for the plant I grew out. Harvested a few days early due to weather, so didn’t get the full Indica medicinal effect. Finished flower potency is heady and calming, but not couch lock. Though provoking… Decent taste. Clones just got put into flower today, so will post more info on next crop. Thank you OGS for another good strain. Mastodon is a huge hit in Hawaii. Everyone loving the taste and effective medicinal properties. Grows well here and not much seems to disrupt her. 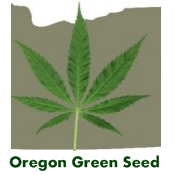 Patients with stress, anxiety, insomnia, ptsd and other similar medical issues are really doing well thanks to mastodon and Oregon green seed. 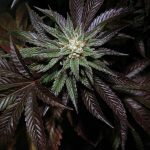 Mastodon is a real power house indica that is easy to grow and rewarding. Young Mastodon plants exhibit pure indica pedigree with fat leaves, heavy duty branches and nice thick trunks. Mastodon thrives in all types of growing conditions and can be trusted to yield very well. Flowering very quickly as soon as autumn begins and finishing before the end of September. Quite resistant to mold and very resistant to powdery mildew. 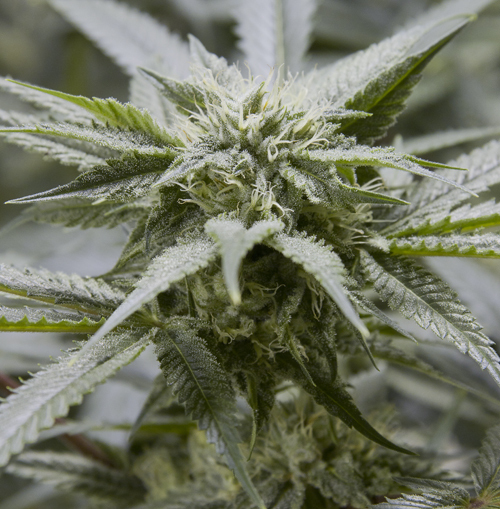 Flowers are dense, attractive and have a nice calyx to leaf ratio. Top shelf aromas and flavors ranging from pine, hash,earthy, cherry, exotic spice, hints of candy/bubblegum and slight skunk. Very potent effects can be expected and should be reserved for those with tolerance or handled with care. Pain relieving properties that are accompanied by a long lasting euphoria that tapers off slowly. Some people find it too heavy to consume during the day, others find it too tempting to resist. I ran this from ogs and yeti og from gps exclusively for last 2 years. The mastadon is a breeze to clone. Cuttings all took within a few days in my cloner. I also found the purple pheno. 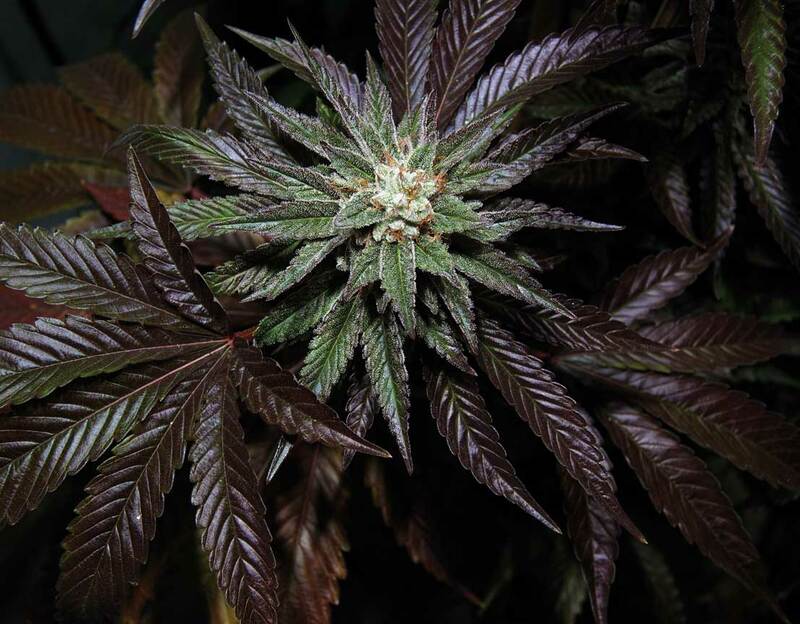 I thought it was due to environment since 1st run at flower/ she started getting nice reddish and purple hues stacked inside the nice sized buds this beauty produces. The scent is a piney and slight skunk with a hint of earthyness. Love it. When ignited. The smell is one for the notebooks. It invokes the room with a pleasant fresh floral. Still have 5 beans left from 2015 season. 10/10.